You probably won’t remember this day in your life, but I sure will. You’re about to start school. Like ACTUAL school! I have butterflies going crazy in my stomach for you right now. I’m jittery with excitement — but also sick with nerves for you. But I won’t tell you that part. I’m not sure if I’m ready to lose my baby, as you go out into the world and make your own choices. Your own friends. You won’t need me as much anymore. Ouch, even writing that hurts. I hope that you’ll surround yourself with friends who lift you up and always bring out the best in you. I hope that people are kind to you. And that you are kind to others, always. I hope you remember that learning new things and being smart is cool. You love to learn, with your bright, sparkly eyes and inquisitive nature – never lose that. Knowledge is a good thing. I hope you include others. If you see another child sitting alone, ask them if they want to join in. Always put yourself in someone else’s shoes, and treat them how you would like to be treated. Know that girls are just as good at boys. Girls CAN do anything. They can run fast and they can kick the footy, just as quick and just as well as the boys. I hope that if someone is being bullied or picked on, you stick up for them. Don’t get into fights, but always be strong and stand up for what YOU believe in. I hope that you embrace people for being different. Some kids are slower learners than others, some are better at reading, some have more money, and everyone comes in a different size, shape and colour. That’s what makes everyone so beautiful. Embrace that. I hope that you follow your passions. Go with your heart. Lead the way and others will follow. Make mistakes. It’s okay to fail or to come second or third, or last. As long as you give things a go, you’ll never go wrong. I hope that you feel like you can always talk to us. About anything. 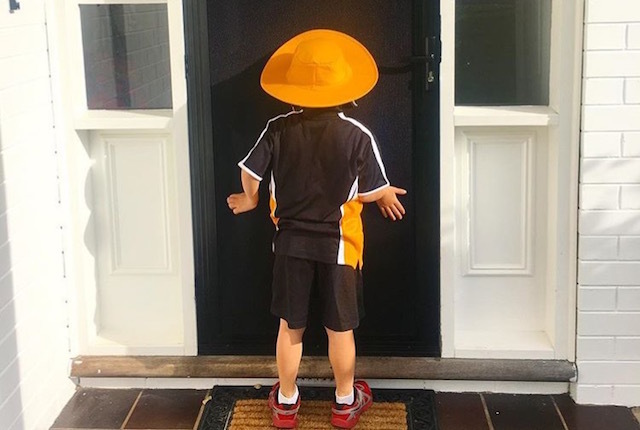 Austin, as you walk into school on your very first day, with your humungous yellow hat and over sized t-shirt, try not to grow up too fast. Remember to be a kid, have fun, be your kind, funny, inquisitive self and make everyone around you feel like gold! And most of all, remember I love your guts… and don’t leave rotten bananas in your school bag – I’ll be very cross! Previous PostCHILLIN' BY THE RIVER 2017! That was beautiful Hayley – so true! best school ? Please bring Lauren to sports day – cupcake stall is the bomb! I’ll even make a pineapple one! Thanks for bringing on the tears HP! ? I sent my daughter to school on her first day with her sandals on the wrong feet. Mother of the year!! It is a great expression as a mum. How were dumplings ate at Lau Peking Today? 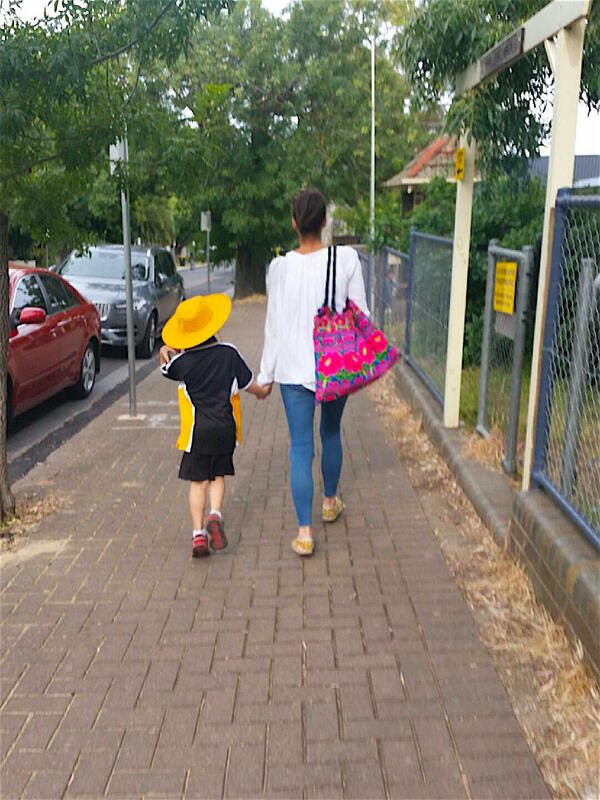 My son goes to the same school and he is in year 6, haha.